Is Your Industrial Oven at Risk of Over Investment? For some people, setting up a kitchen is a dream come true especially when it is going to be your source of income. A whole lot of money is spent to pick the best available commercial equipment that would ensure effortless cooking. The investment does not stop here. Restaurants and commercial eateries world over spend huge amounts in maintenance and repair of the commercial equipment. Oven Wouldn’t it be nice to incorporate a few practices that can significantly reduce the amount you end up spending on repair, cleaning, and maintenance of your industrial oven? Today, we will discuss the dos and don’ts of industrial oven that can make it more durable and help avoid unnecessary expenditure. There are a few easy changes that can you can make in your habits to bless your industrial oven. It includes simple little things like switching off the oven when not in use for a long time, keeping the door shut, not using oven as a cabinet for storing items, etc. These are more of common sense than guidelines from industrial oven suppliers. These simple measures can prevent massive wear and tear to internal compartment of your oven, diminish the chances of accidents that can be caused by tripping over the open oven door or breaking the door off, or overheating of internal parts. Moreover, it does not cost anything to adopt these measures except for a little change in habits. Almost all industrial tray oven suppliers provide a leaflet that has a list of things that you should do. I am including these in the list of things that are not so complex because it will require a little bit of effort and in some cases investment as well. And, that’s why these will not be as simple as the above mentioned practices. The not so complex things include using the right kind of utensils for your oven (the material and also the size should be appropriate), regular cleaning as directed, and using safety mitts while handling hot oven gear, etc. These things will prevent you from getting hurt and also your oven from getting spoilt as a result of spillage or wrong type of pot. By adopting simple measures, you can be sure that you will avoid frequent expenses. There are a few smart things that you can do to further cut down your expenses on maintenance and regular repairs. 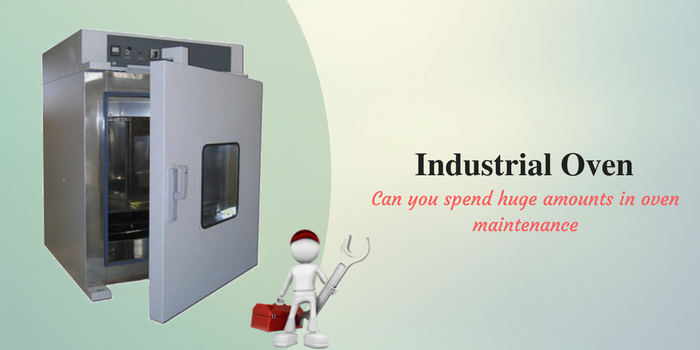 Many industrial oven suppliers or commercial equipment repair companies offer packages where you have to pay a nominal amount for a certain number of routine cleaning and servicing of equipment. Now, because you will be using your equipment regularly, this investment is absolutely worth it. A simple Internet search can give you a lot of choices. Make use of these simple, not so complex, and smart things for longevity of your industrial oven. If you are a restaurateur, a chef, or an oven specialist, share your expert knowledge on oven handling and maintenance by posting a comment. Want to Download Tinder for PC or Laptop? Here's the guide to help you install Tinder on PC based on Windows 7, 8.1 and Windows 10.
nice info. :) You have some.. They have a lot of amazing apps and games which can be downloaded for free.